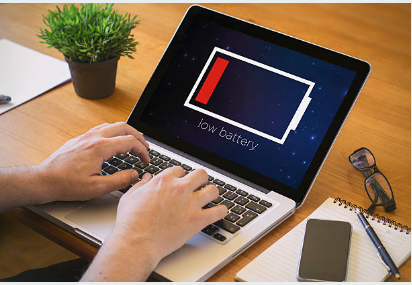 Laptop battery if the maintenance of it, its life is long, qualified laptop battery can generally charge 500-600 times, that laptop how to maintain it? If the long time to use an external power supply, it is best to remove the battery. Many of my friends did not notice this problem, with an external power supply does not remove the battery not only affect the battery life, but also to the notebook computer cooling burden becomes heavier, shorten the life of the laptop. Regular charge and discharge. Even if there is no memory effect of lithium-ion battery there is a certain inert effect, long time does not use will make lithium ions lose their activity, need to reactivate. Therefore, if a long time (3 weeks or longer) does not use the computer or find the battery charge and discharge time is shorter, the battery should be fully discharged and then charged, usually at least a full charge and discharge once a month. The best time to turn off the laptop, so that the battery can be fully charged, do not unplug the power in the middle of charging. Shutdown charging will be shorter than the boot charge of more than 30% of the charging time, but also to extend the battery life. It is best to use after 30 minutes of charging. To prevent exposure to prevent moisture, to prevent chemical liquid erosion, to avoid contact with the metal contacts and metal contact occurred in short circuit and so on. Lithium battery charge and discharge frequency is generally not more than 800 times, each charge a power, it will shorten the life. 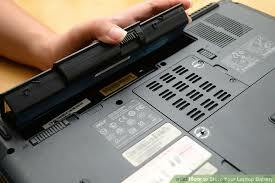 Maintenance of the laptop battery, we must pay attention to the above points. The effective use of laptop batteries is 2 years, if expired, and then it is easy to lead to its aging. Notebook battery is the main component of the notebook, if the battery maintenance, you can also extend the life of the notebook. In general, the laptop battery can be used for how long? There is no time to limit the concept of an 8-core lithium battery life (remember that is the life of the battery) is charged around 800-1200 times, the quality of the battery below this number is certainly a problem. How to fundamentally extend the battery life (that is, life), there is no need to take the battery from the laptop! I have a good way, we can try. If you have AC power around, in the daily power before the AC power connected to the laptop to ensure that the battery light is turned on after the boot! Remember! In this case, our battery is a little micro-current charge, the motherboard power protection It will not let the machine have any problems! At this time the battery is not counting the number of times! Notebook battery life is generally 2 years, and if 2 years expired, you are still using it, it will be due to the decline in standby time and affect the mobility of the notebook, and even affect its life.